Below is the obituary of Bill Berry, one of the most influential mentors in my musical career. Bill was probably the person who 'set my course' as a Jazz musician. I always knew that I wanted to play music, but Bill became a role model for what a real Jazz musician lives like. He took me under his wing just as Johnny Hodges and Paul Gonsalves did for him decades before. It sounds funny, but Bill showed me what it was to be cool, in an old school gracious gentlemanly sort of way. 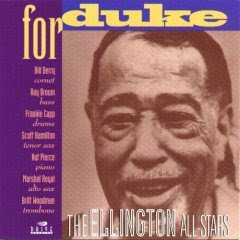 Since Bill was the librarian for Duke he had copies of the entire Ellington library. Bill taught me how to play it correctly, how to swing! I was getting undiluted Ellington straight from Bill! He was too cool to even flinch when he would get introduced as 'Beer Belly' in Japan. I really miss that little guy with those ever present reflective sunglasses and red face. Bill's style was his own and as his obituary says he had so many influences and took so little from each influence that he always sounded fresh and original. In his playing you could hear Bix, Clark Terry, Miles, Roy Eldridge, Pops, Cootie, Herb Pomeroy and more. For me the most important element of Bill's style was how hard he swung. His L.A. Big Band recorded to little to really get the recognition it deserved but it was probably the best big band ever assembled on the West Coast. The all-star roster included- Cat Anderson, Gene Goe, Blue Mitchell, Jack Sheldon, Britt Woodman, Jimmy Cleveland, Benny Powell, Tricky Lofton, Marchal Royal, Lanny Morgan, Richie Kamuca, Don Menza, Jack Nimitz, Monty Budwig, Dave Frishberg and Frankie Capp. Here's link to the Band's MP3.com page of the album Hello Rev. BENNY GOODMAN and Artie Shaw wrestled with the insuperable problems of employing black musicians in a white band whe n, at the end of the Thirties, they hired Billie Holiday, Roy Eldridge, Lionel Hampton and Teddy Wilson. Duke Ellington was later to be the first to take on the similarly fraught reverse problem by bringing first Louie Bellson and then Bill Berry into his otherwise black band. So it was no surprise when the cosmopolitan Berry employed ex-Ellington, Count Basie, Woody Herman and Stan Kenton soloists when he came to form his own big bands. There is a powerful posse of great cornet players stretching back to Bix Beiderbecke in the Twenties. The others included Bobby Hackett, Ray Nance and Ruby Braff. "Stretching" is the right word, for they were all men of small physical stature, who took advantage of the cornet's shorter length when compared with the trumpet. Berry's rugged touring career with some of the most demanding of the big bands gave him an accomplished technique on the instrument. 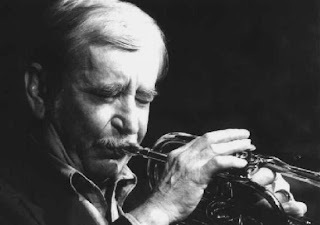 Coupled to his imaginative improvisations this made him well- regarded amongst brass players and he ranked highly in the styles of both Swing and Bebop. While Braff, Nance and Hackett, like Berry, played Mainstream, Berry was one of the few to use the instrument also as a Bebop player. because they didn't pay enough to afford hotels. We used to check in once a week on Mondays, just to take a bath. When the Korean War began in 1950 Berry volunteered for the US Army so that he could enlist in a service band. After his discharge four years later he enrolled at a Cincinnati music college, but soon transferred to Berklee College in Boston, where he studied unde r Herb Pomeroy, a trumpet player who also led the college big band. Berry was a voracious student and in 1957 progressed to his first "name" band, that of Woody Herman. More endless touring followed, with Berry's favourite trombonist Bill Harris with him in the brass section for much of the time. 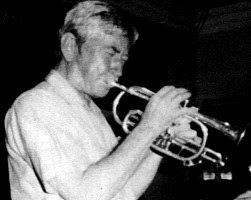 Berry's ambition was to break into the New York scene and eventually he joined Maynard Ferguson's Band in 1960 because Ferguson spent six months of each year playing there. This gave him the opportunity to play with other bands in the city and his reputation grew. My time with Ellington changed my life in every respect, not only musically but socially, philosophically, everything. One of the reasons was that while the guys in Woody's and Maynard's bands were about the same age as me, these guys were 20 years older. They were 20 years older and 20 years hipper. Johnny Hodges, Paul Gonsalves, everybody took me under their wings and showed me how to live. It was marvellous. Berry became the "modern" trumpet soloist with the band and can be seen to good effect in the film Duke Ellington and His Orchestra (1962). He played on innumerable Ellington recordings during the period. Finally leaving Ellington in 1964 Berry returned to New York and work in the studios. He played in the band for The Merv Griffin Show on television and ghosted the trumpet playing for Frank Sinatra in the 1966 film A Man Called Adam. Studio work left him free time during the evening and he became a founder member of the highly regarded Thad Jones-Mel Lewis Orchestra, working with it from 1966 to 1968. Two years later Berry drew on his own vast experience to form the New York Big Band, which included colleagues from his Ellington and Herman days and some of the cream of New York's finest jazz musicians. But his leadership was short-lived because, when The Merv Griffin Show moved from New York to Los Angeles that year, Berry and many of the musicians went with it. It was little trouble to reform as Bill Berry and the LA Big Band. Virtually every member of the band was a star jazz soloist, and Berry's natural gravitation towards Ellington music was immeasurably helped by the presence of his fellow Ellingtonians Cat Anderson, Bust er Cooper and Britt Woodman. The finest musicians on the West Coast queued to join the band. Berry now began to tour abroad and, with the help of his wife Betty, began to organize workshops for young musicians and eventually in 1991 the International Jazz Party, an annual Los Angeles festival featuring musicians from across the world. He toured Britain as a member of the Louie Bellson Big Band in 1980 and made several visits, a notable success being a front-line partnership with the Scots tenor player Jimmy Thomson. 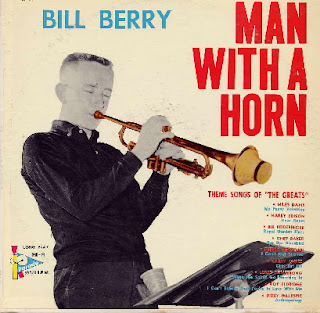 William Richard Berry, cornettist, bandleader and music educator: born Benton Harbour, Michigan 14 September 1930; married (one son); died Los Angeles 13 November 2002. Not mentioned in the above obituary is that Bill is also survived by his daughter Lisa McLaughlin and her son. I wish to thank you for your wonderful tribute to my dad, which I just came across accidentally. I was deeply touched by your memories.